What next for Pendle Heritage Centre? The future of Pendle Heritage Centre is hanging in the balance, as councillors are due to determine its future next week. A Pendle Borough Council meeting scheduled for Tuesday evening in Nelson Town Hall will discuss the lease and freehold for the centre in Barrowford. Two years ago, Pendle Council’s Executive resolved that the transfer of the freehold of the Pendle Heritage Centre to Barrowford Parish Council be agreed in principle subject to satisfactory agreement being reached between the parish council and the Heritage Trust for the North West, on a renegotiation of the terms of the current lease. However, the fear now is if Barrowford Parish Council were to enforce this lease, as they would be entitled to do, then the heritage centre would surely close, as it would be unable to operate without the late-night events and alcohol sales that are required to support the Listed Buildings, walled garden and museum. “For 41 years, Pendle Heritage Centre has held a long lease from Pendle Council. Although we used to receive a small grant, in recent years we have received nothing”, explained Sarah Cockburn-Price, chairman of Trustees." In a bid to make the books balance, Pendle Heritage Centre ramped up its commercial activity considerably, hosting weddings, parties, conferences and meetings. “Quite a few of our activities are in contravention of certain clauses in the 1997 lease. 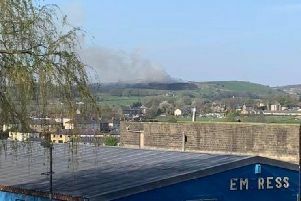 Pendle Council knew all about it – they just never got round to updating it and we have documentary evidence to show we have been asking since 2011”, continued Sarah, who was appointed as chairman earlier this year." John Miller, one of the founding fathers of the Heritage Centre, which was the second of its kind in the country, said: “Pendle Council has allowed the Heritage Centre to operate without constraint. Pendle Heritage Centre is asking councillors to consider transferring the freehold to The Heritage Trust for the North West (parent charity of the Pendle Heritage Centre Trust) rather than to Barrowford Parish Council. Meanwhile, the leader of the Labour group on Pendle Council, Coun. Mohammed Iqbal, has attacked some Conservative councillors including the leader of the council, Coun. Paul White, for 'playing politics' and refusing to progress a decision made by the previous Executive to transfer the freehold of Barrowford Park and Pendle Heritage Centre to the parish council. Coun. Iqbal said “I’m aware that some senior Conservatives in Pendle are trying to use their influence and force the council to transfer both the park and centre to the trustees of the Heritage Centre, the head of which is Conservative Coun. Sarah Cockburn-Price. Coun. Iqbal has tabled a motion at Full Council on Tuesday next week to force a decision on the matter.